Nena and Billy Olivier of Springfield announce the birth of their son on Dec. 9, 2012 at Spring View Hospital in Lebanon. 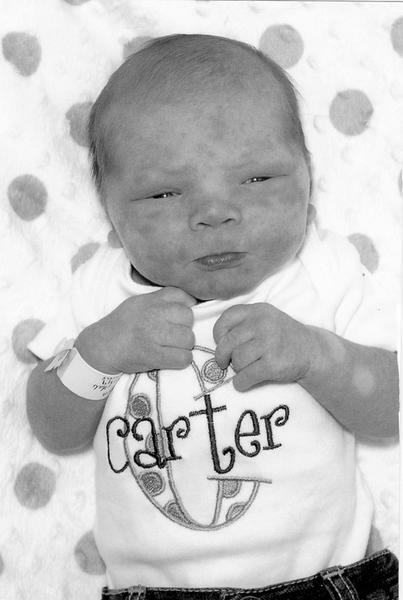 Landon Carter Olivier weighed 7 pounds, 6 ounces and was 21 inches in length. Maternal grandparents are Charles and Wanda Tharp of Lebanon. Paternal grandparents are Jean and Randy Porter of Lebanon.